Virtual Private Network is one of the modern terms on Play Store today. 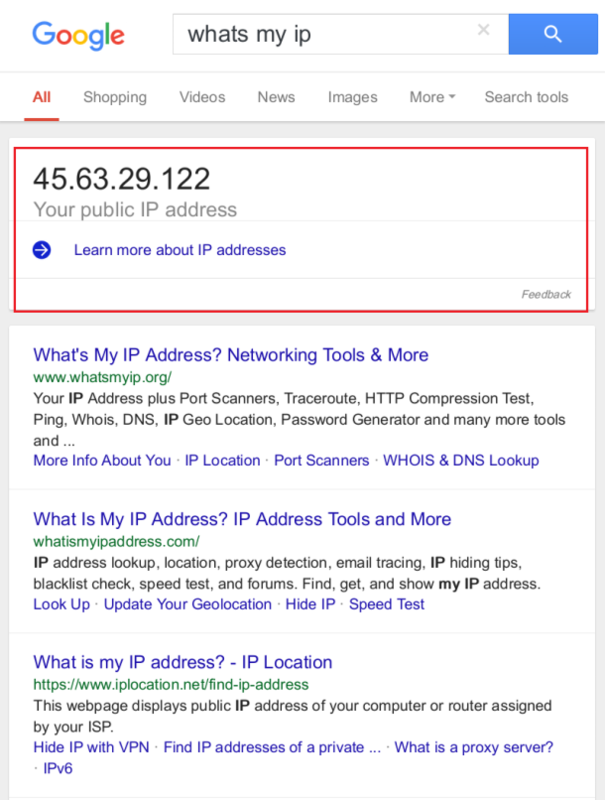 The Internet world is experiencing a significant threat to privacy invading, which has become a global concern. The revolution of Internet has opened up gates for many hackers, and to prevent your identity, data, etc getting stolen, Online VPN came into existence. Currently, the market of VPN is densely crowded, and you can find hundreds of free VPN apps on the play store. Do not get excited because selecting the right VPN to carry out the daily basis work isn’t that easy as you think. You can find the best one among the hundreds, but it would take several hours of Downloading, Testing it and coming to a decision. However, we are going to save your time and check the instead. You may have seen several apps launching into the market every day, but not many can deliver what the developer teams promise. 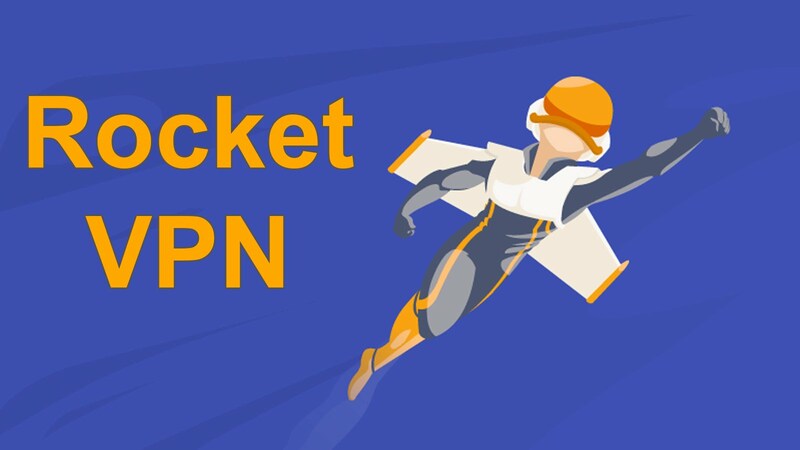 Rocket VPN delivers what they promise, which is why I’m going to take you to the in-depth review of Rocket VPN. It comes with more than one Access Point. Access all blocked content without any hassle. 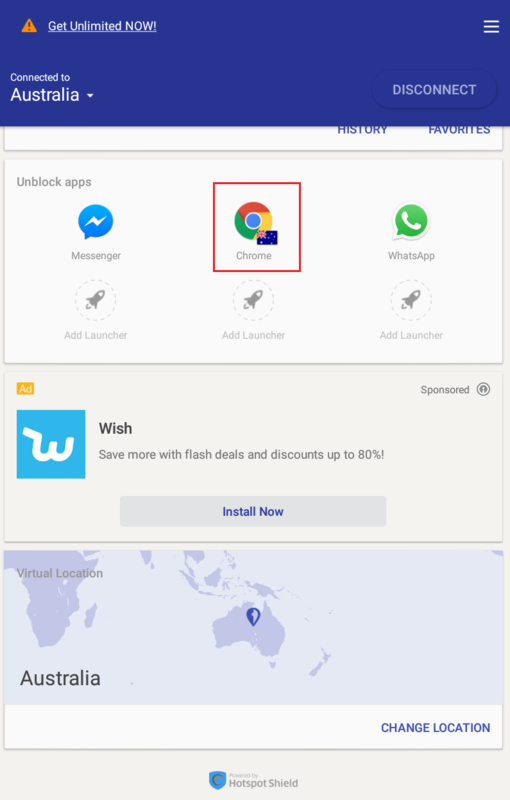 You can search on play store and find hundreds of apps on Free VPN, but most of them dow not have more than one access point. 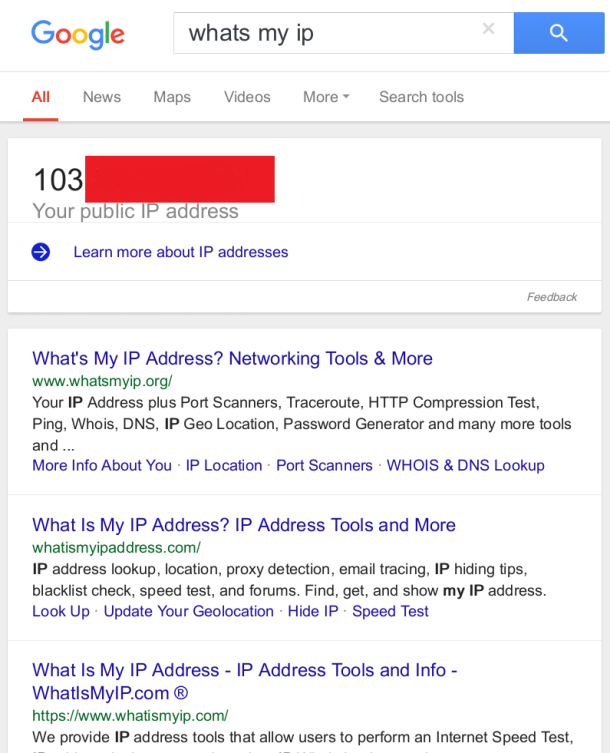 Due to several reasons, the VPN providers does not add multiple locations. 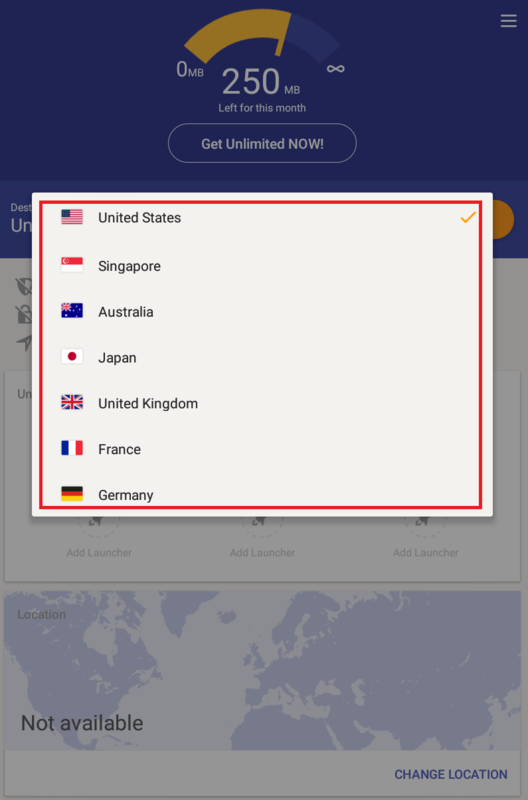 However, in Rocket VPN, you can set seven locations, which is awesome. Also Checkout The Intelligent Onnewatch- Breakthrough the black mirror syndrome! 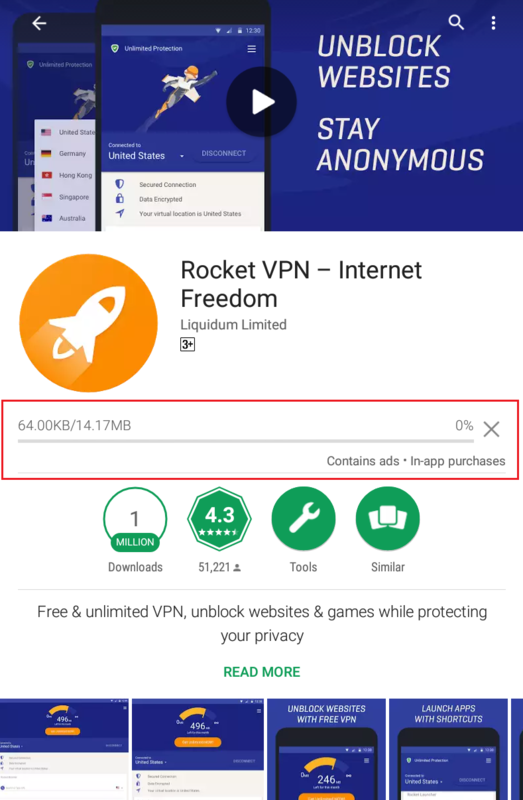 The rocket VPN does not claim that they have the best security in the business, but they do have security, which can secure an average user identity. We have conducted several tests to find the loopholes in the server’s, but it has passed all known loopholes so far. After enabling the Rocket VPN. 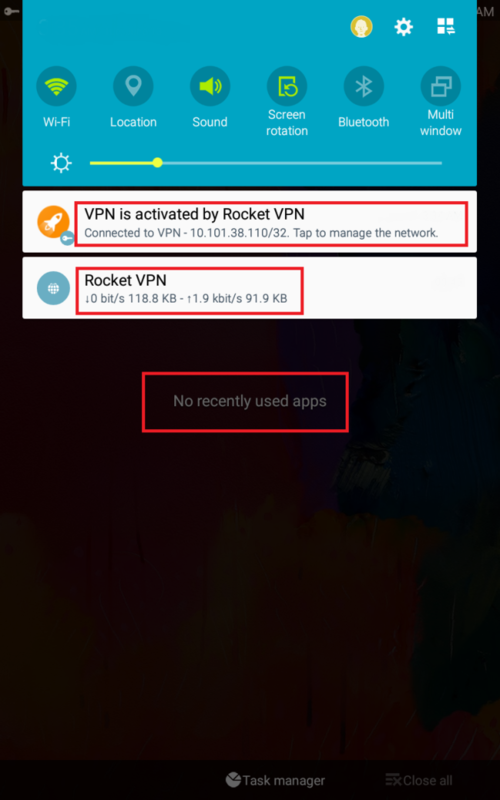 The only reason, why I will be using the Rocket VPN is to unblock apps. Did you get it? 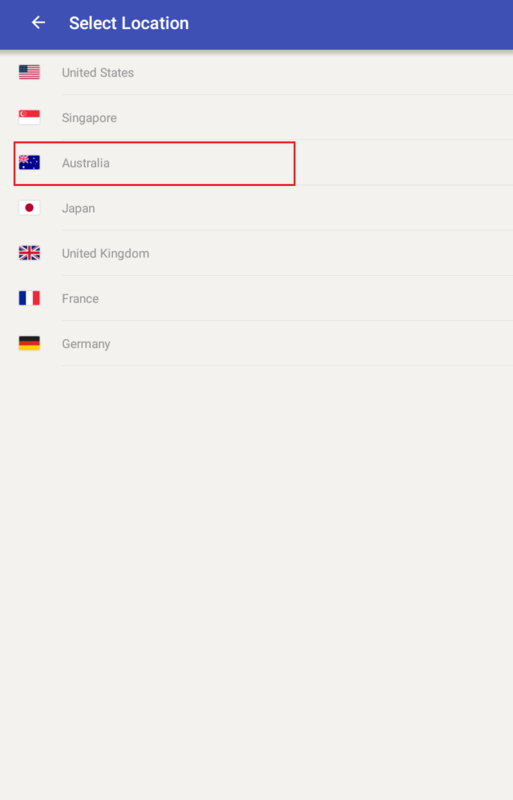 If not then there are several apps such as “Youtube TV, Spotify and more” are not available outside of the USA because they are made for the USA users. Space: The download file size is only 14MB, which is reasonable for a dynamically designed app and it comes with loads of features. After the installation, you can guess the after installation size. To be honest, it won’t have much of your internal space. Performance: I have mentioned that performance is also an important point and Rocket VPN fits it perfectly. I have downloaded the app on the Budget smartphone, which doesn’t have more than 200MB RAM. Check the notification bar, and you get an option where you can keep an eye on the stats. I have exited the app and removed it from the taskbar, and yet it runs in the background without consuming much of the RAM. Security is an essential part of a VPN but a VPN that runs two times slower than your regular Internet package than it’s not worth your time because you have to wait for longer minutes to complete the downloads. I have tested the app using SpeedTest by Ookla, and the results were surprising. The Rocket VPN has done a fabulous job. 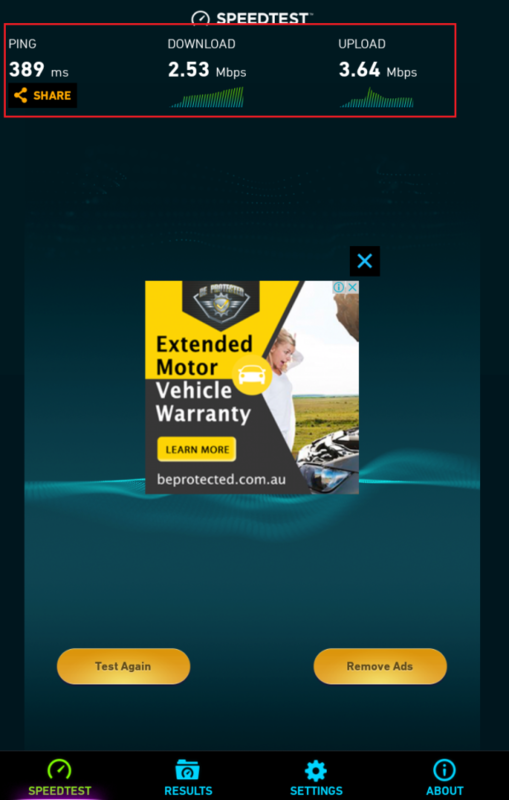 Rocket VPN Data Transfer Speed – The ping is high (Australia Location), but rest is good enough. 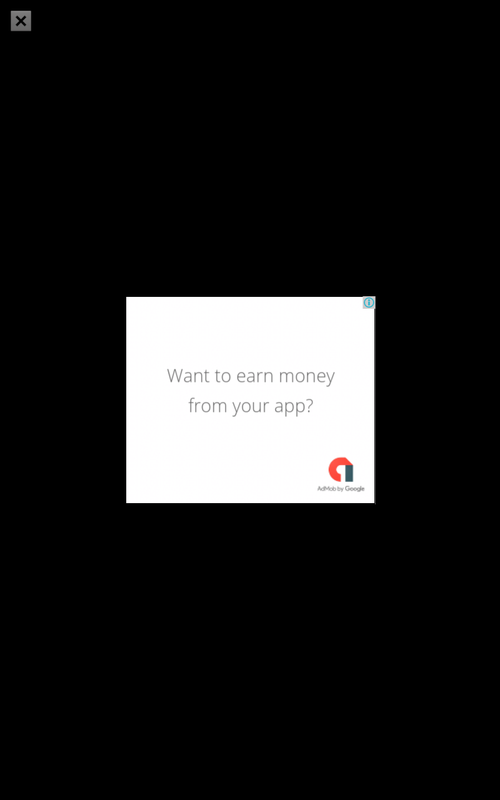 Not many users will be happy with the fullscreen Ad popping up when you Launch and Exit app, but Rocket VPN has to pay for the Servers and Maintenance. In my opinion, helping the developers will only bring more support from their end. 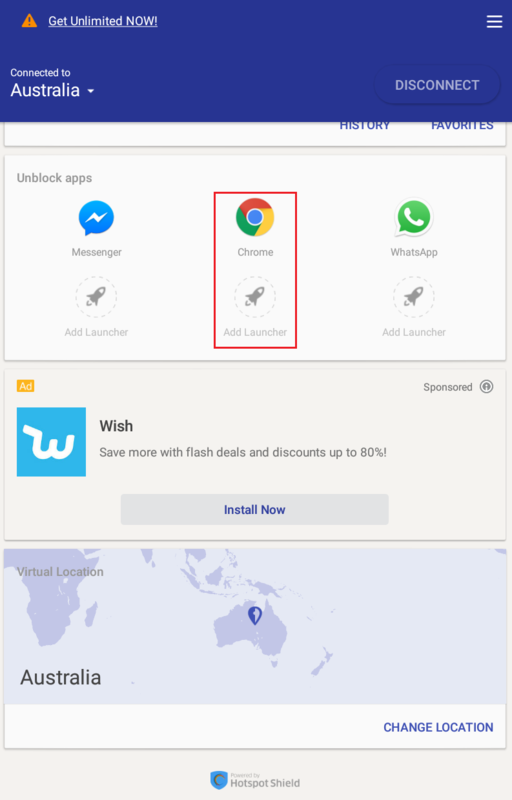 Full-screen Ads pop-up on your when you Launch & Exit. Small Ads appear in the dashboard. When you upgrade you will get premium servers and ad free app. (Yearly Plan), which is the lowest one. 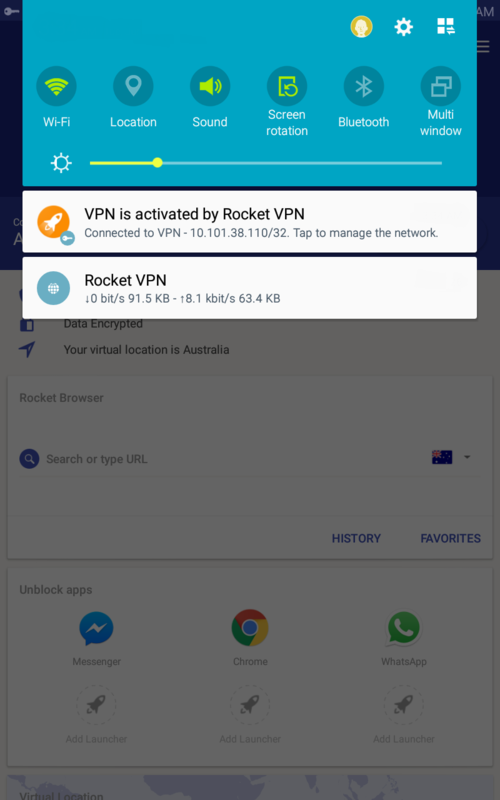 The options and services are decent, and Rocket VPN has become my primary way to access all blocked Content, Apps, Websites and more. Shoot your Opinions and Experience in the comment section below.